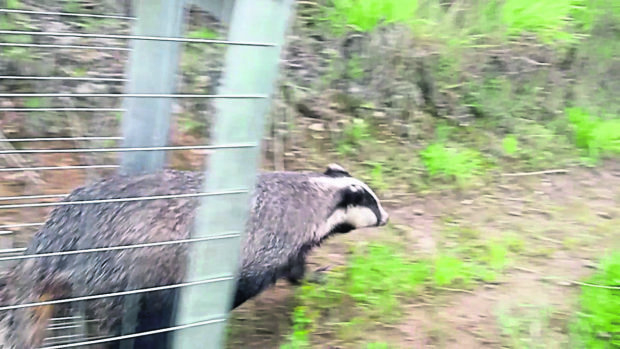 The New Arc – North East Wildlife and Animal Rescue Centre – near Ellon, has taken in almost 500 wildlife casualties since the start of June. Injured animals and young vulnerable creatures found alone are brought to the centre by the public, volunteers and the New Arc team. Creatures released back into the wild this week include two oyster catchers named Peep Peep and Pingu raised from young chicks, a buzzard with a wing damaged after becoming tangled in a football net, Wesley the hand reared weasel, 11 swallows and house martins and Barry the badger. Founders Keith and Pauline Marley said they were delighted to have brought all the animals back to full health. Mr Marley said: “August has started off well with many animals and birds now fit for release back to their natural habitat. “We’ve around 300 birds and animals here at the moment and take in a variety of residents. “They come in injured or young and the whole idea is to get them out and into the wild. “It’s all wildlife we take in and provide a chance for rehabilitation. Creatures taken into New Arc are treated individually and released into areas which are safe for them to survive in. Mr Marley said: “The young birds we released the other day were fed until they could fly but we wait to see if they can learn to hunt insects. “We replicate the way birds get taught to hunt in the wild and then release them when they are capable of feeding themselves. “Ultimately we rely on members of the public and volunteers to assist wherever possible – the public help pick up smaller animals, such as birds, and the bigger ones we pick up ourselves.